Ann West sampled several flavor offerings, including the Carrot Curry, at Geek Eats’ booth, but after a moment of thoughtful consideration, she purchased her favorite, the Black Bean Hummus. “There’s no hurry,” the Little Rock resident says of her leisurely taste test. After all, it was Bernice Gardens Farmers Market’s first day of the 2018 season, and West has all summer to try Geek Eats’ various flavors. 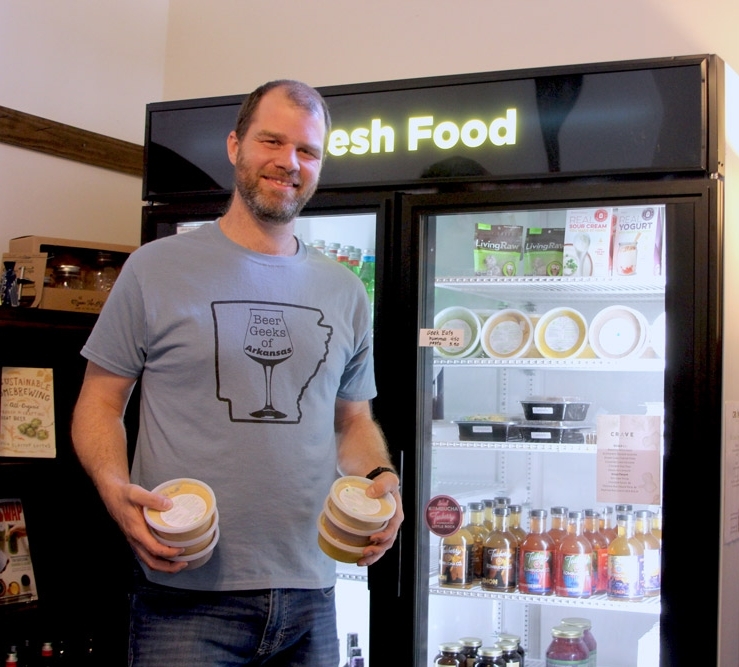 Jeremy Rhodes, the North Little Rock company’s proprietor, says, “We now offer 15 flavors.” His most in-demand, which he calls his weekly staples, are Original, Carrot Curry, Chipotle and Fresh Rosemary & Black Bean. His rotating lineup includes choices like Spicy Curry, Caramelized Onion and Lemon Zest Cilantro. In addition to hummus, his repertoire also includes Maple Pecan Granola and a Cilantro Pesto. Rhodes, who grew up in Little Rock, is an unashamed fan of non-electronic board games, and he says he loves “the strategy and mental challenge” these require. While living in Missoula, Montana, he perfected the inexpensive but tasty hummus to serve at gaming get-togethers. Not content with one flavor, he tinkered with his recipes and created new ones, and soon gaming friends were demanding his hummus. In 2010, he returned to the Rock with a soon-to-be-wife, Bernadette, and quickly joined the Central Arkansas Geek Club. Again, his hummus found favor, and his friend, Stephanos Mylonas of Mylo Coffee Co., convinced Rhodes he had a commercial hit. So one Sunday in 2013, Rhodes nervously set up a Geek Eats table at Bernice Gardens and by summer’s end, he says, “Dozens of regular customers were happily lining up” for Geek Eats. Rhodes says his repeat customers often share their recipes with him, like one who uses his Yemen Lemon Hummus on grilled chicken. “The pesto is versatile. It’s great on grilled fish or used as a spread on flatbreads,” Rhodes adds. 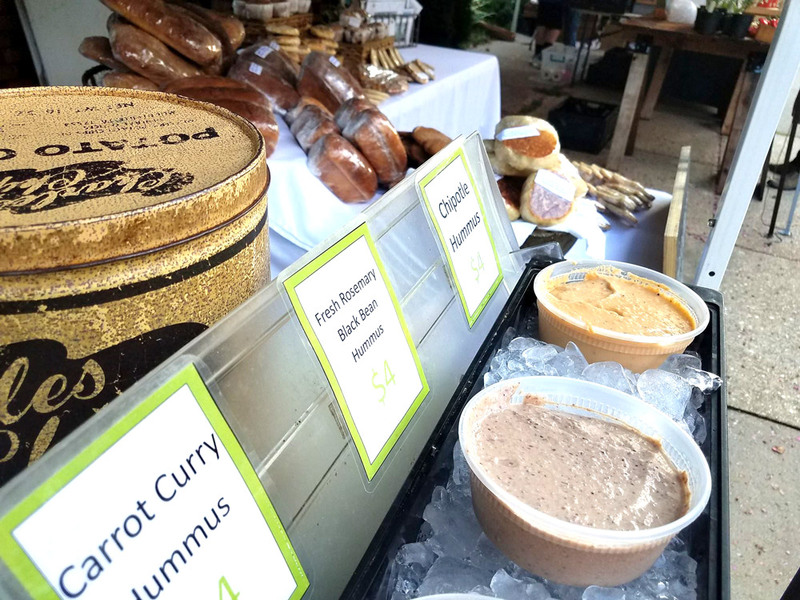 Rhonda Patton of Roland recommends serving the Carrot Curry Hummus with crackers and goat cheese, while the black bean pairs nicely with thin apple slices. “It’s definitely a party pleaser,” says Patton, who is famous for her annual Halloween parties. Rhodes says, “At home, we’ve given up condiments. The Sriracha Hummus—be warned, it bites—is perfect on a sandwich.” He suggests trying it on ham and cheese. With the openings of farmers markets across Central Arkansas, Rhodes’ product production increased fivefold. “I will be slammed until October,” he says. In order to keep his product fresh, he and a part-time employee, Caroline Scott, hand-prepare about 250 pounds of hummus in a commercial kitchen each week. During that same period, he says, “We go through about 90 heads of cilantro for the pesto.” The rest of Rhodes’ week is spent delivering product or working at various local markets, such as the ones at Hillcrest and Westover. 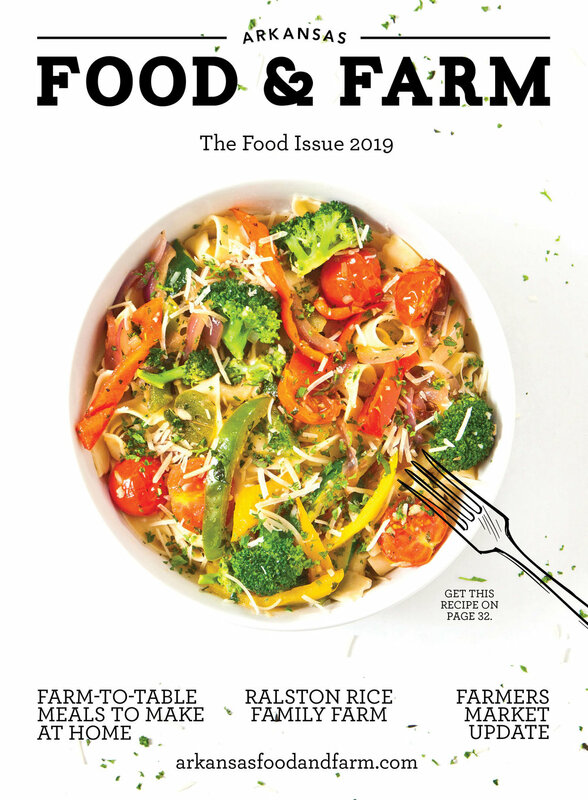 Geek Eats is available at St. Joseph Center’s Saturday farmers’ market in North Little Rock, and it can be purchased year-round at The Green Corner Store and Stratton’s Market, both in downtown Little Rock. It’s also served at Stone’s Throw Brewing.